Sara Fay and the Elementals Quest Journal for Book 1: Forces Unite Now Available! Per the request of my young readers and the feedback from their parents, you now have a Sara Fay and the Elementals Quest Journal for Book 1: Forces Unite. The possibilities for book one’s quest are endless. We hope you enjoy the extra space, flip picture and Elemental inspired prompts sprinkled throughout. For added fun, we included book one’s bonus features. Enjoy your time with nature and the Elementals! Happy Earth Day! Happy Sara Fay and the Elementals: Book 3: Spritz and The Animal Kingdom soft cover release day! Please use Amazon Smile and support wonderful charities like Pax Natura. 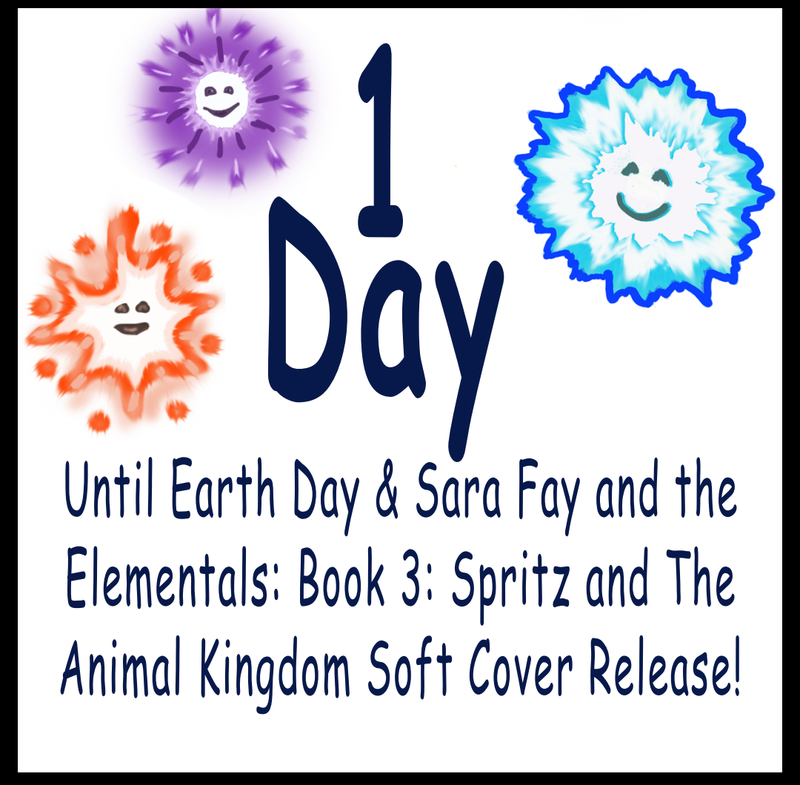 One Day until Sara Fay and the Elementals: Book 3: Spritz and The Animal Kingdom celebrates it’s soft cover launch on Earth Day! One more day until Sara Fay and the Elementals: Book 3: Spritz and The Animal Kingdom celebrates it’s soft cover launch on Earth Day!